Maruti Suzuki Vitara Brezza is the best selling sub-compact SUV in India since its introduction in 2016. According to a new report, Maruti Suzuki is planning to launch the Vitara Brezza facelift model in India very soon and production already begins. The exterior of 2019 Vitara Brezza gets styling updates including a new front bumper with tweaked headlamps, LED projectors given instead of halogen ones on the current model with integrated LED DRLs. 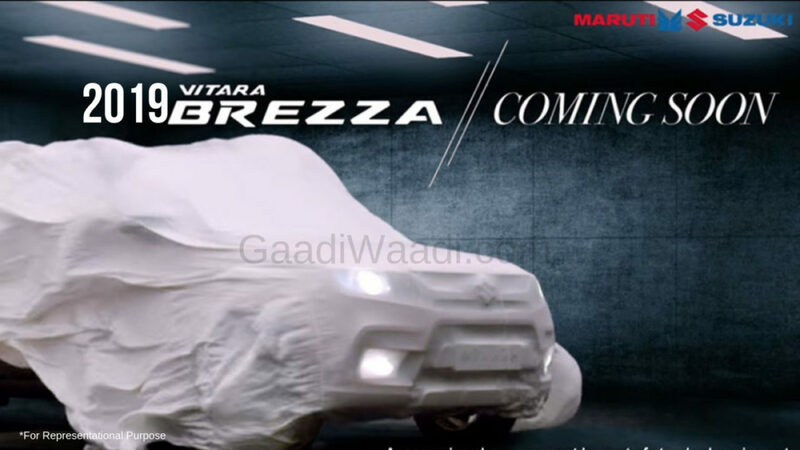 Maruti Suzuki has given a hood scoop also to the upcoming 2019 Vitara Brezza. The side remains to be the same but the facelift model is likely to get a new design for the alloy wheels, while the size will continue to be the same from the current version. The rear will get a new bumper as well and tweaked tail lamps to round off the exterior changes. 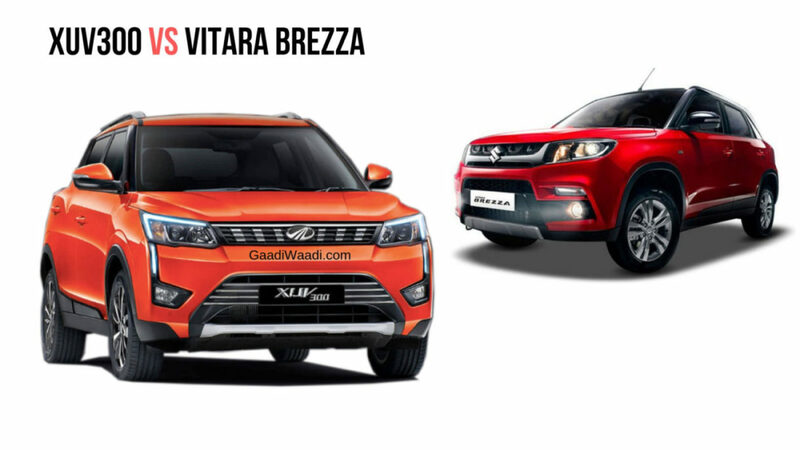 We can expect the company to introduce some new colour options for the Vitara Brezza. The interior changes are minor as it will be limited to new fabrics for seats and an updated SmartPlay studio infotainment system, which made its debut on the new generation Ertiga earlier and it is also available on the Baleno facelift as it comes with connectivity options like Android Auto and Apple CarPlay and new features. The compact SUV is already packed with features like climate control, steering mounted controls, rain-sensing wipers, automatic headlamps, rear camera with parking sensors, cruise control, electronically controlled exterior mirrors with fold function, keyless entry, push-button start, alloy wheels, dual airbags, ABS with EBD, speed alert and more. The facelift model might replace the current 1.3 L diesel engine sourced from FCA with 90 PS and 200 Nm with the newly developed in-house 1.5 L diesel engine and it is expected to produce 95 PS at 4,000 rpm and 225 Nm between 1,500 – 2,500 rpm. This engine is mated to 6-speed manual. As per the report, the company has already manufactured 5000 units, which will be dispatched soon to dealerships.